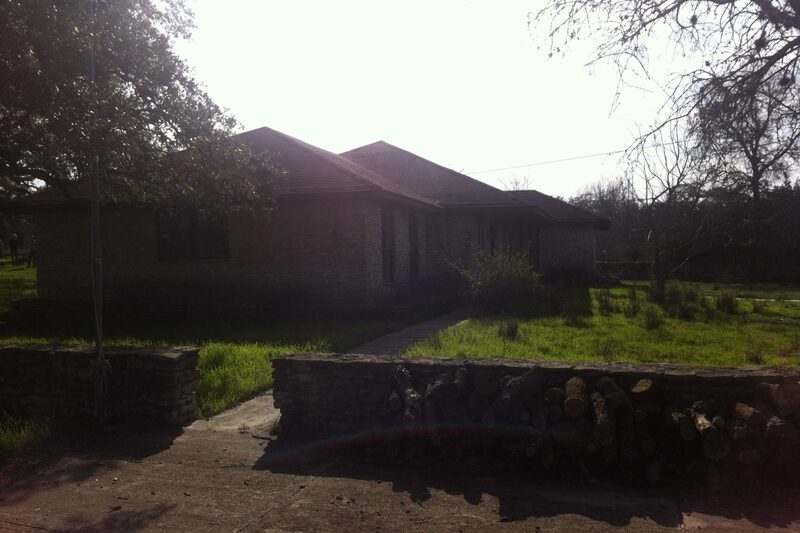 Ranch House Conversion | Thoughtcrib, Inc. 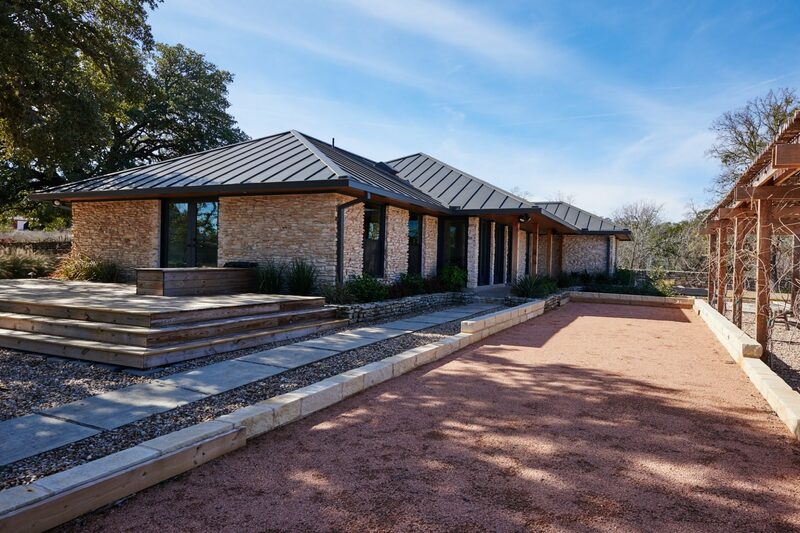 This ranch house was remodeled as the first phase of a larger conversion of a ranch property to a rural health retreat. 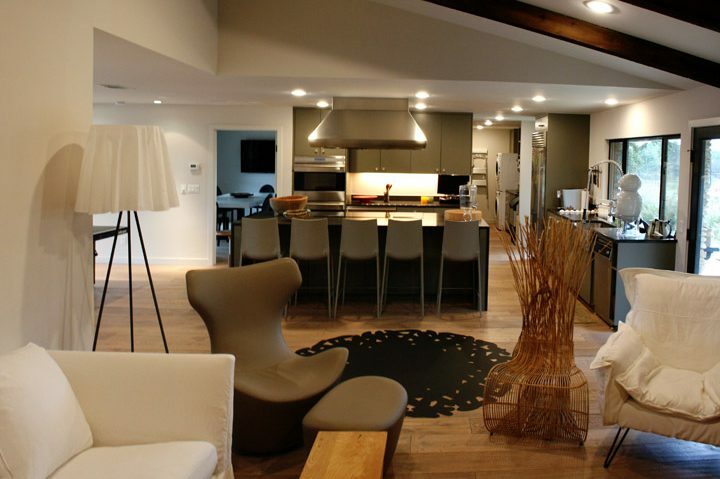 The objective of this renovation was to create common cooking, dining, and office facilities for guests of the retreat. 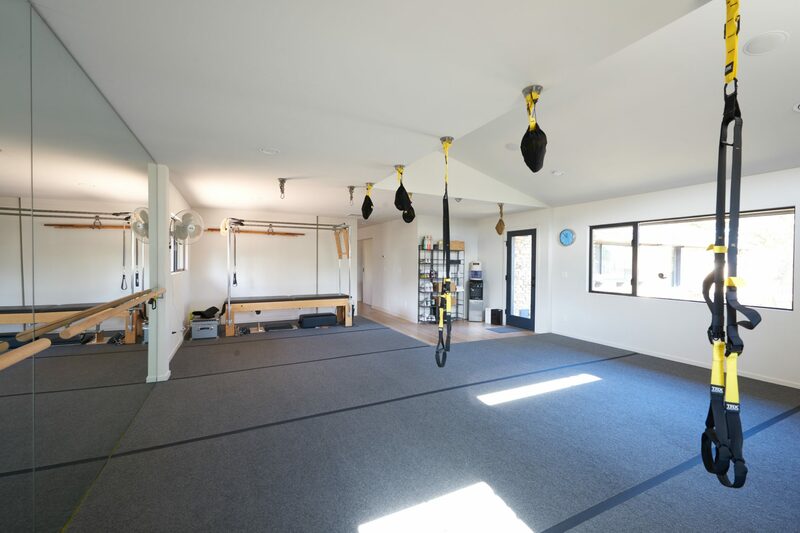 Additionally, former bedrooms were converted to sauna, massage, and gym spaces. 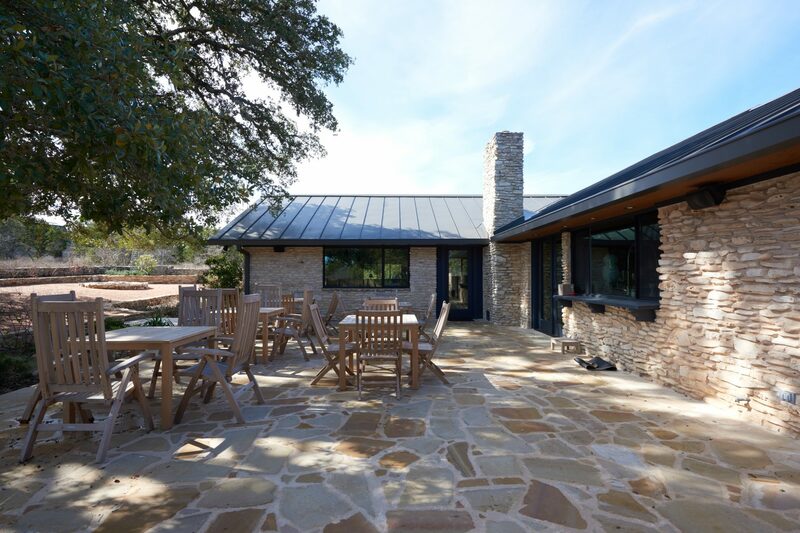 The exterior of the structure was snapped into shape with new windows, doors, and roof while keeping the warmth and character of the original rubble stone exterior. 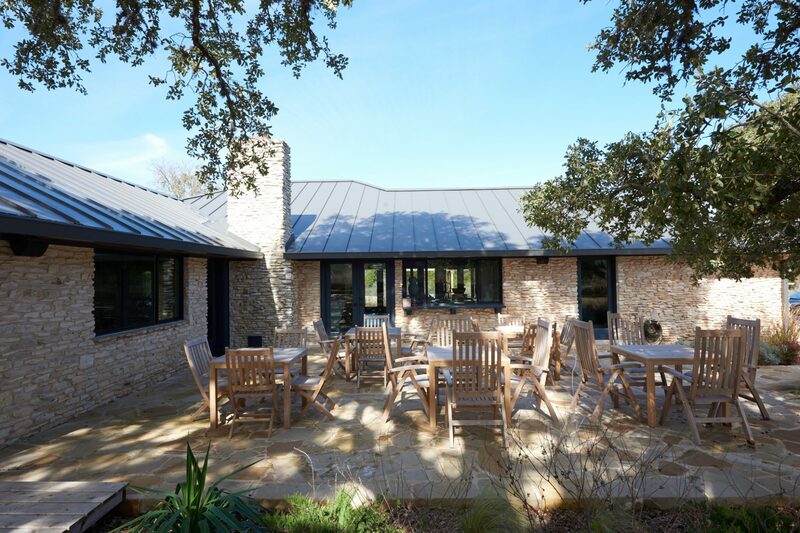 Exterior spaces were configured to maximize activities outdoors – dining, bocci, gardening. 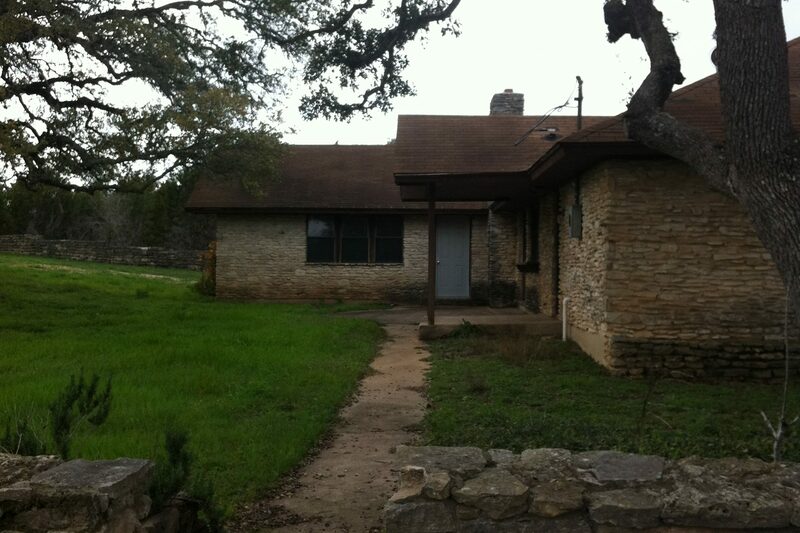 Site: 80 acre property with multiple buildings for health retreat. 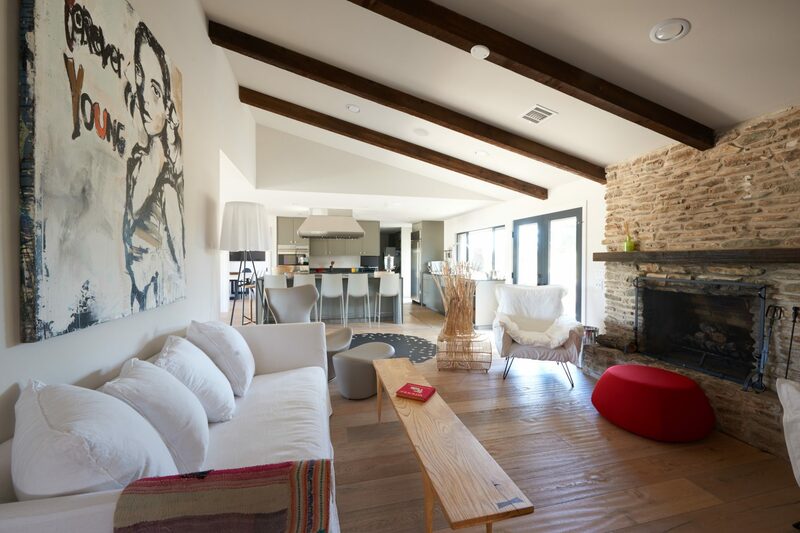 Design: Transformative renovation of existing ranch house to create common and specialized spaces for a health retreat. 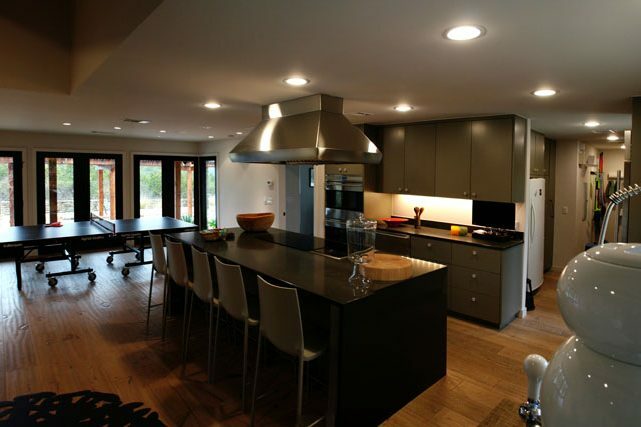 Reuse of existing house significantly reduced cost and waste for this phase of the project. Measures were taken to ensure that structure could install PV system in the future and tie into larger site rainwater collection system. Lighting: Daylighting is utilized – some windows were added or enlarged to accomplish this; Interior lighting is a mix of fluorescent and LED lighting; Exterior lighting design minimizes light pollution. 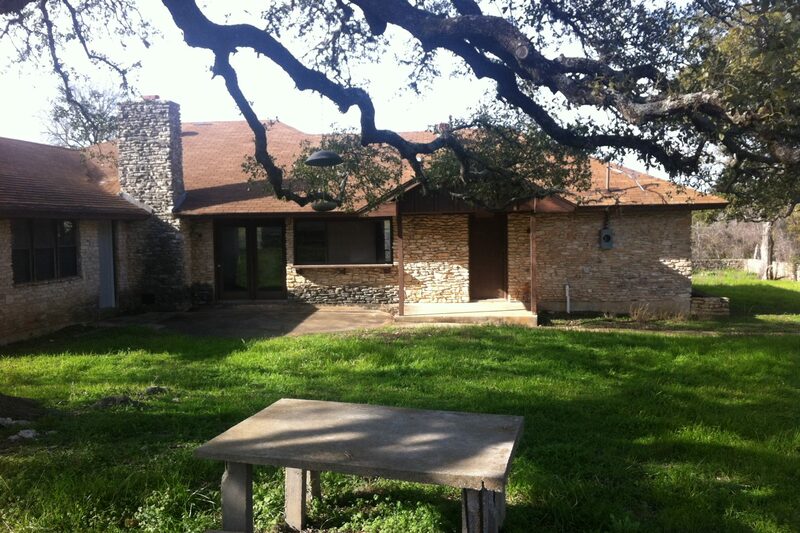 Landscape: Hardscapes were added under existing oak trees to maximize outdoor spaces.